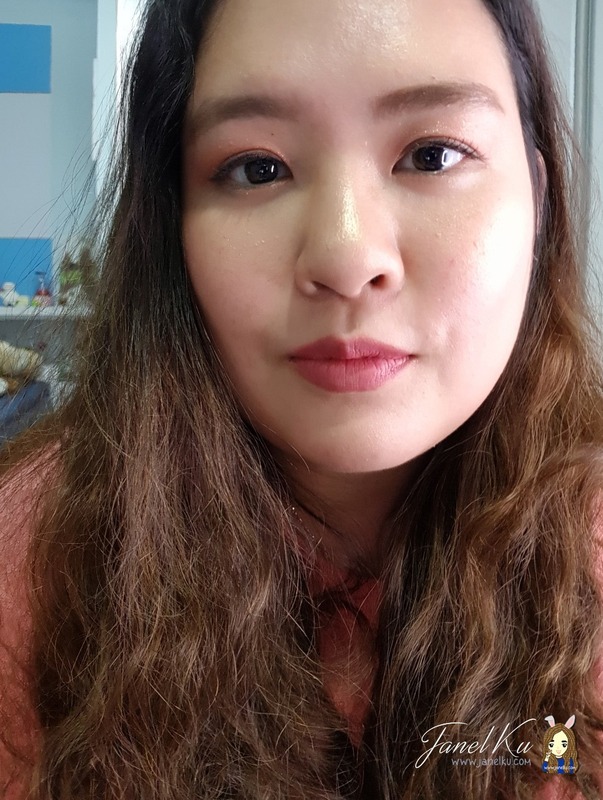 Today, I'll be reviewing new lippies I got from YG's brand, Moonshot cosmetics! Yes, I'm talking about the Moonshot Cream Paint Lightfit! When I first tried it at Sephora, I went "OMG YG!" cos I felt that almost every colour I swatched turned out very pretty! I wanted to get more, but this time, I settled for 2 first: M117 Hey Rosa and M118 Red Mellow. Asked the sister to buy it for me as she was in Seoul about last month. haha! Packaging is a rectangular cuboid, with an oddly shaped lip applicator that, to my surprise, applied the colour on pretty nicely on the lips. I bought 2 colours for my everyday use, swatched it below for your viewing. 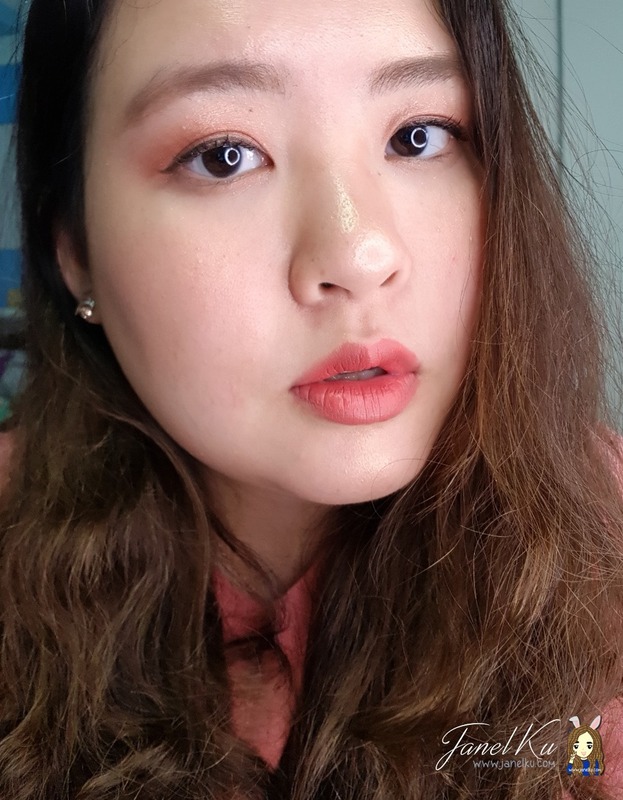 Red mellow's a little reddish pink toned lippie, whilst Hey Rosa's a light nudish pink toned lippie (the swatch shows a little light reflection, so check out my photos below for the colours on my lip!). 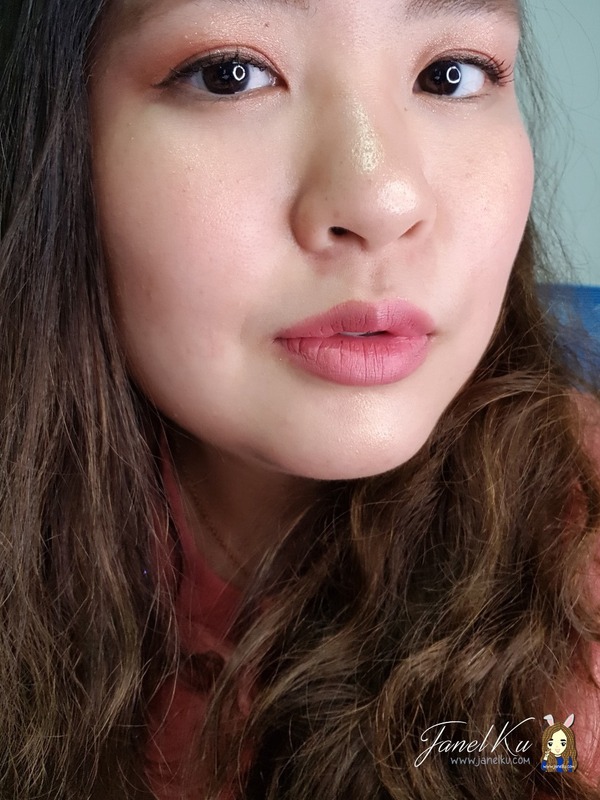 To be honest, I liked this product quite abit cos you know, the problem with matte lippies is that sometimes it highlights your dry lips (making it flaky, etc). 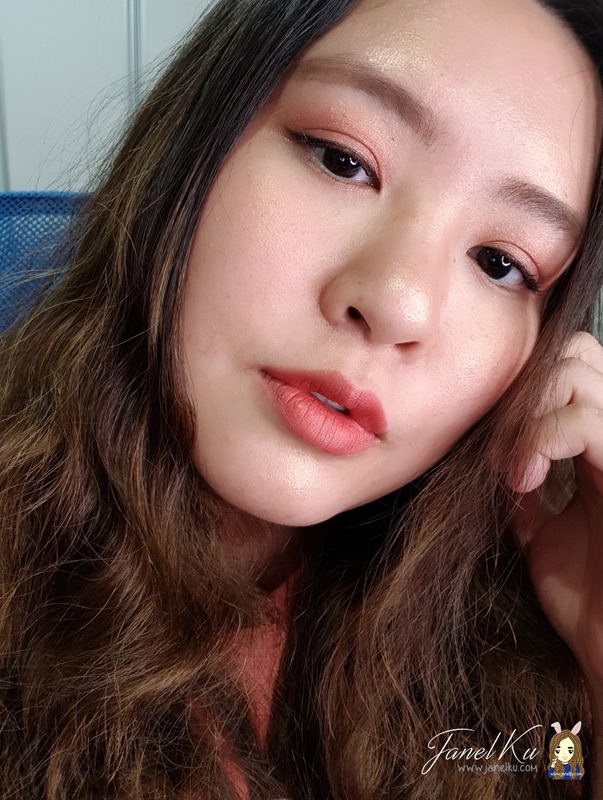 And I must be honest that I didn't bother exfoliating my lips for this shot, hence I must say it covered up my dry lips pretty well (considering the extent of my flaky lips at that time)! True to its claim, it felt extremely velvety indeed! The colours also turned out very natural and I loved every second it lasted on my lips. But the thing about this product is that it also comes off very easily, so I would suggest usage of a lip primer with this to help it last longer. Don't bother asking if it'll stay if you eat something oily... it'll definitely fade away. Reapplications are necessary for this product! Unfortunately, just with a couple of uses, I did smell some unpleasant chemical smell with frequent use of the product. But I still loved the really lightweight, matte afterfeel from the lip product. Would I buy it again? Well, very likely! Though some consideration will still go to whether or not I can continue to accept the smell with further use of the product. The product also delivered its promise: lightweight and velvety, but no powdery feeling at all. So I really liked this! Singaporeans, you can get yours at all Sephora shops for $26 each. Honestly, even though I got it from Korea, the price difference is not actually alot! Just a couple bucks difference, so I would suggest to just save yourself the trouble and get it from Sephora if you would like to try it out.